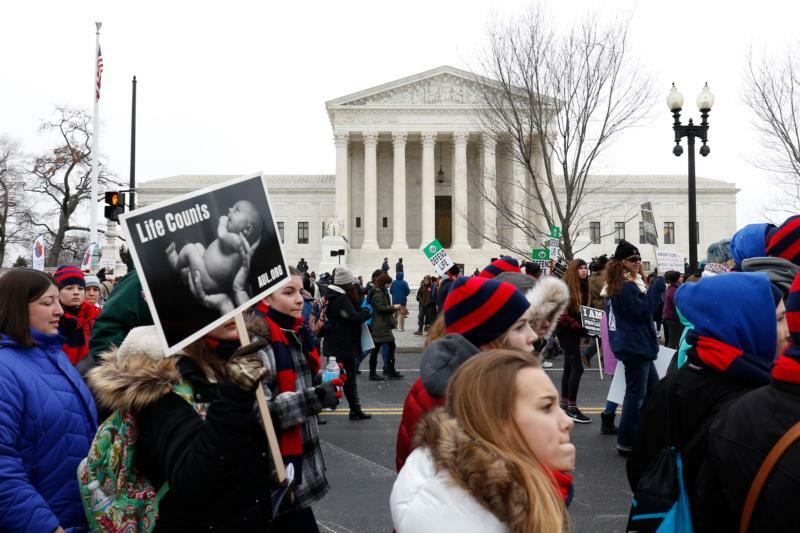 WASHINGTON (CNS) — Catholic admonitions about inclusion mixed with strong political language before the March of Life got underway Jan. 22 in Washington. At a Jesuit-sponsored Mass for life at St. Aloysius Gonzaga Church that morning, Father Paddy Gilger’s homily reminded a small group of students that because Jesus made an effort to be inclusive when he chose his disciples, they, too, should be respectful of others’ opinions. A lawsuit against Daleiden and the center over the videos has reached the 9th U.S. Circuit Court of Appeals, with the National Abortion Foundation and Planned Parenthood accusing him of misrepresenting his organization and illegally taping without permission, and aiding in violent threats against abortion clinics and the women who go there. 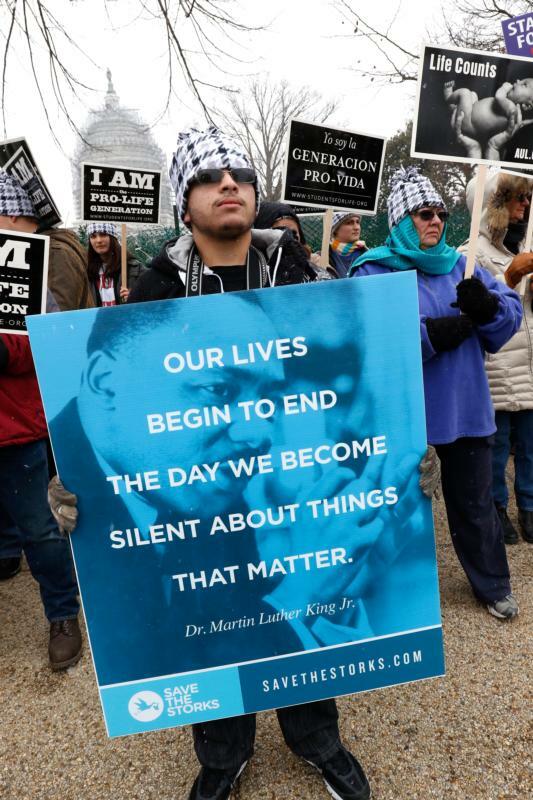 The rally was the first formal involvement in March for Life, which is held on the anniversary of the Supreme Court’s Roe v. Wade decision, which legalized abortion, by the evangelical community. After the rally, participants marched up Constitution Avenue to the U.S. Supreme Court. Marchers headed to the court as snow fell — the beginning of a snowstorm that was to turn into a major blizzard and leave at least 2 feet of snow in the Washington region. 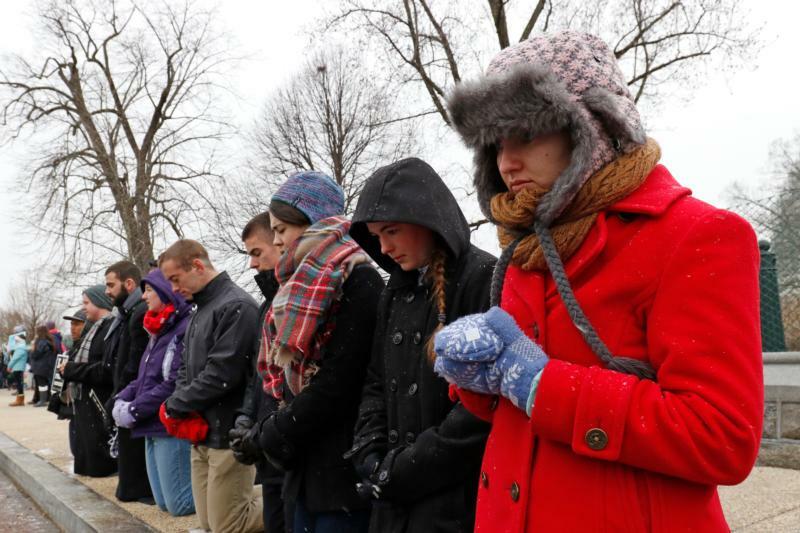 Over the years, pro-lifers participating in the March for Life have endured freezing rain, snow and sub-zero temperatures and there might have been more than one blizzard that swept through the nation’s capital on or around the Roe anniversary. Rev. Paddy Gilger, S.J, encouragement to be respectful of other’s opinions is like asking us to respect genocide in Sudan.